End a year and start another with a bang by using this ebony and silver New Year's Eve kit for 50 people! 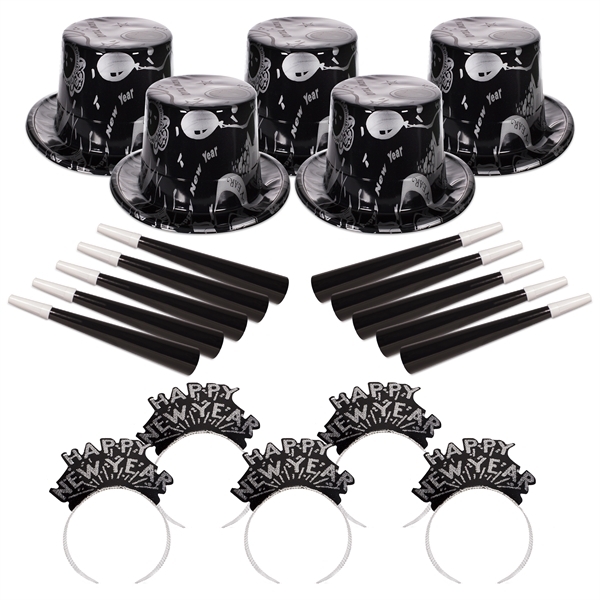 This kit includes 25 plastic "Happy New Year" top hats, 25 glitter on black "Happy New Year" tiaras, 50 black horns and 200 serpentine throws. Go with the ultimate planner pack for large parties and celebrations. Unpack an instant theme party that's ideal for corporate gatherings, bar events and more!